My favourite things about Christmas are fairy lights, Christmas songs, and most important of all, scented candles, like these ones from PartyLite! Also, can you believe that Christmas is only 9 days away? We’re almost there! I’ve almost sorted out my Christmas presents for everyone, but I’m very behind when it comes to decorations as I STILL haven’t put up my Christmas tree! 🙁 However, I have made sure that my mantelpiece is complete with crackers, tinsels and pretty candles! When it comes to pretty table decorations and scented candles, PartyLite is my number one destination as they have anything from mini scented voltives to large festive candle jars. I first found out about PartyLite earlier this year when I reviewed their Summer candles collection. I fell in love with PartyLite right away as their candles smell A-M-A-Z-I-N-G!! I must admit that I got super excited when my large PartyLite Christmas package arrived! There were five different products in it and there’s enough candles to last me all Christmas and possibly into the following Christmas too! 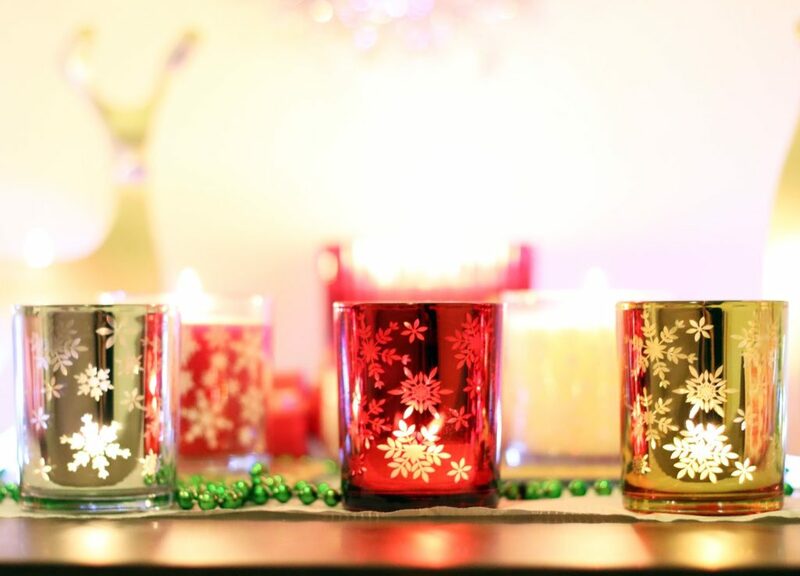 The items I got from PartyLite are: Snowflakes Tealight Trio, Scented Mini Jar Candle Trio, BayBerry Scented Candle, Iced Snowberries Tealights and Endearing Tealight Holder Pair. You can find all these items and more in their AW15 catalogue. 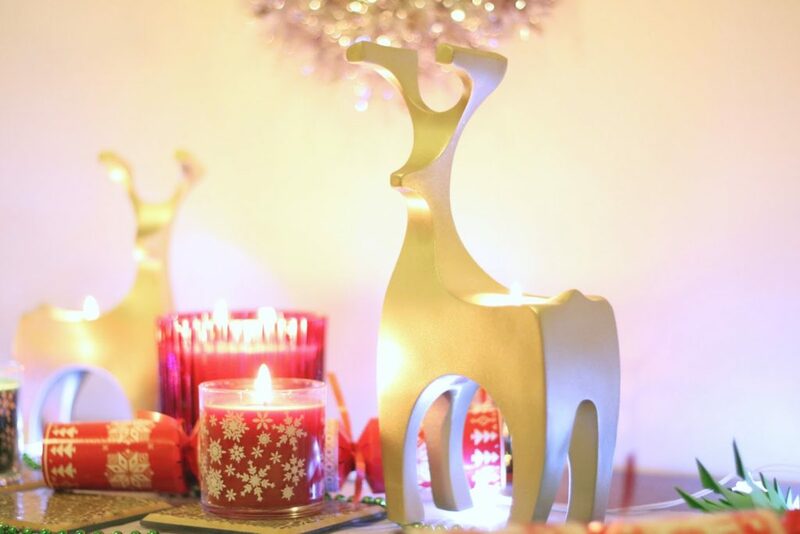 My favourites are the reindeer pair because I love reindeer and these tealight holders look gorgeous! These tealight holders come in a pack of in three! They are small, but mighty! These are also the perfect size for a tealight. Doesn’t the snowflakes look cute? 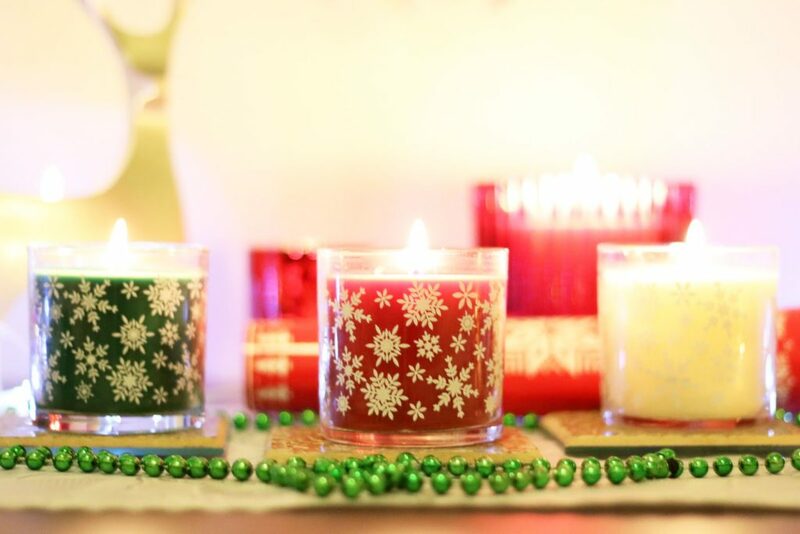 The Universal tealights come in a pack of 12 and there are something like 50 scents for you to pick! The Iced Snowberries tealight is a winter special, but I can totally have these tealight burning all year round! These candles have a similar theme to the tealight holders. They come in a pack of three with three different colours and scents. The white one is Iced Snowberries, green one is Emerald Balsam and red one is Crimson Berry. They all smell fab, but Iced Snowberries is definitely my favourite! This candle is massive and it’s one of those candles that you can leave burning for days over Christmas! Yes, you could literally have it burning day and night throughout the whole holiday! It also smells absolutely wonderful and I’d describe the scent as Christmas spices with a touch of sweet berry! I can’t express how much I love this candle holder! The sturdy structure and golden finish makes it look really valuable. 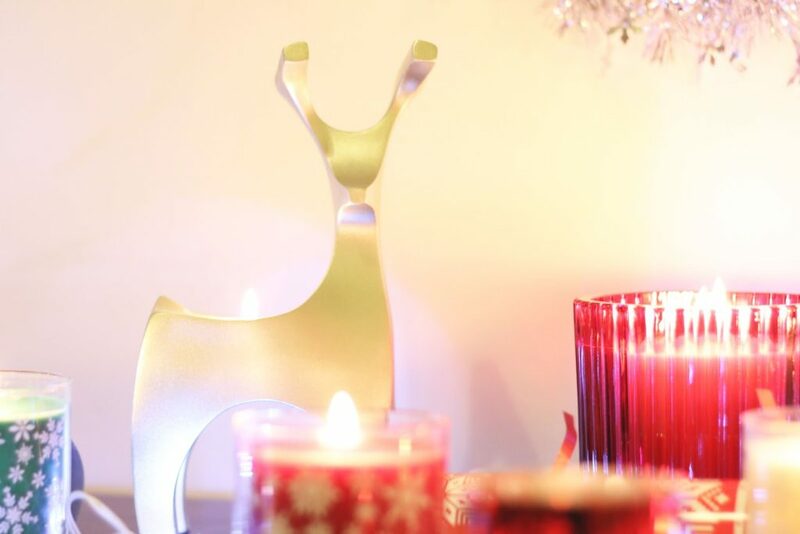 The pair of reindeer are different in size and look slightly different, but that’s the art of it! 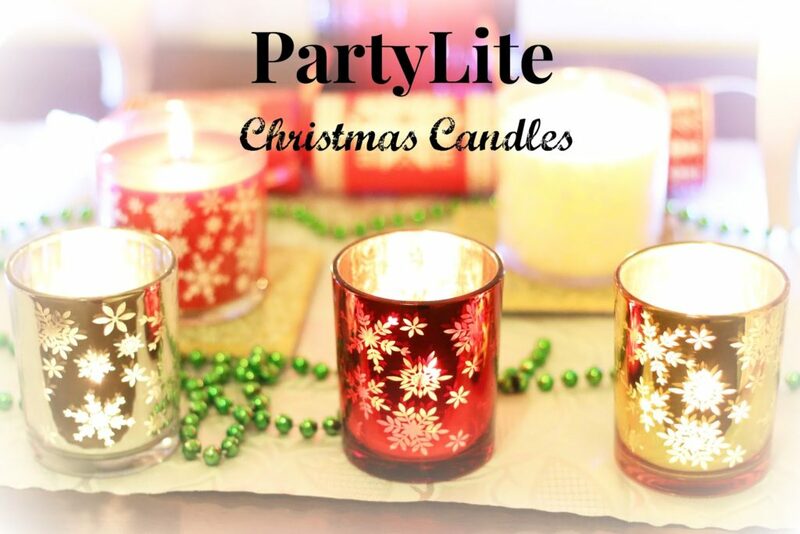 At PartyLite, you can find candles and accessories in all shapes and designs and it’s a candle heaven for all the candles lovers. However, you cannot buy products directly from the supplier, but there’s a nice little search option on PartyLite that finds the nearest consultants for you. 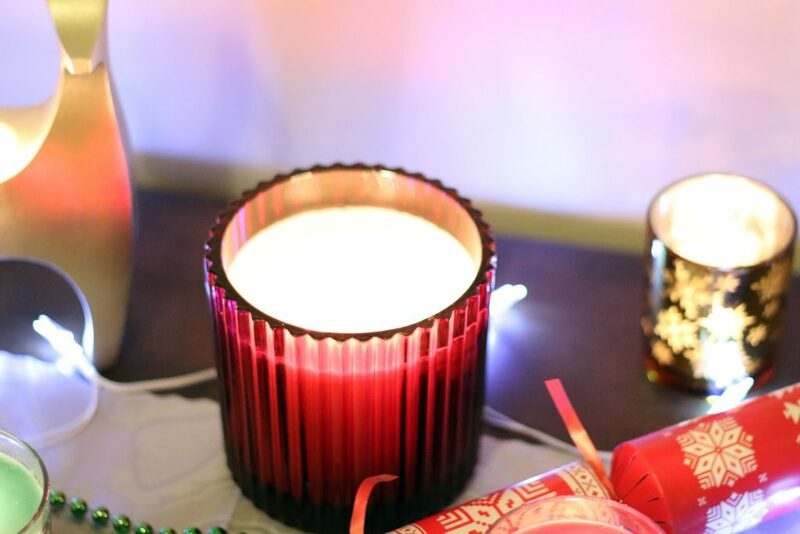 Have you tried anything from PartyLite before and what’s your favourite from the bunch?